Double bed with en suite shower, mini bar, kettle, satellite TV, panoramic windows with spectacular views. Free Wi–FI, complimentary coffee /tea/ mineral water. Ideal for two. 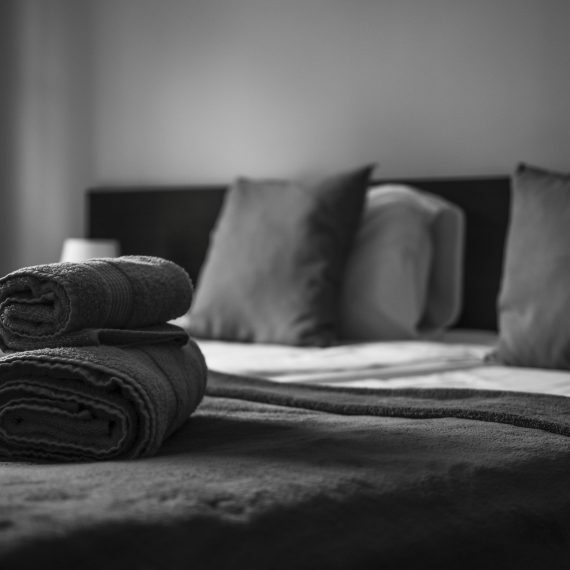 Sleep 4 – a double and two single beds; en suite bathroom with shower cubical, mini bar, kettle, satellite TV, Free Wi-Fi, complimentary tea / coffee and mineral water. 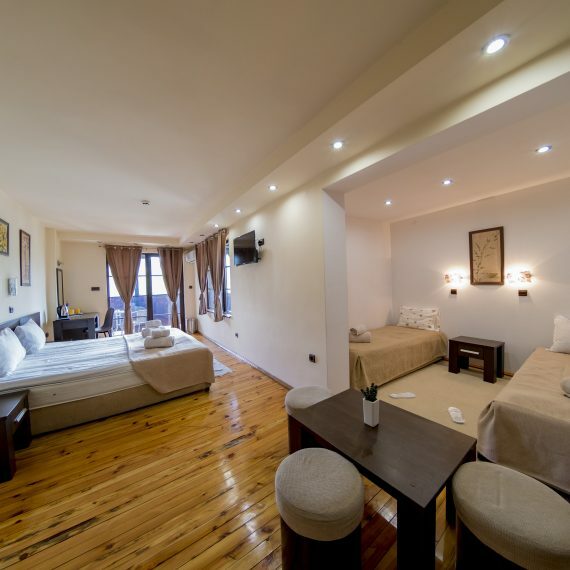 Both family rooms have a balcony overlooking Tsarevets fortress and the River Yantra with an outside sitting / smoking area with tables and chairs.